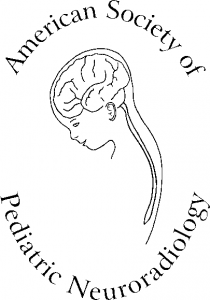 The Society shall be known as the American Society of Pediatric Neuroradiology (ASPNR). The ASPNR shall be a section of the American Society of Neuroradiology (ASNR), but a member of the ASPNR need not be a member of the ASNR. Section 1. To develop, foster, and support the care of pediatric patients undergoing neuroradiologic procedures. Section 2. To develop, foster, and support high standards of practice, research and education in pediatric neuroradiology throughout North America. Section 3. To stimulate the development of pediatric neuroradiology, both as a distinct entity and as a significant constituent part of neuroradiology. Section 4. To promote a close fellowship and exchange of ideas amongst pediatric neuroradiologists and kindred pediatric and/or neuroscience physicians, surgeons and scientists. Section 5. To promote close cooperation between the ASPNR and other appropriate societies or associations in radiology, neuroradiology, pediatrics and related neurosciences. Section 6. To advance pediatric neuroimaging by sponsoring, encouraging and electing pediatric neuroradiologists to prominent positions in the ASNR, and in kindred scientific organizations. Section 7. To provide meetings for the dissemination of knowledge by presentation of scientific papers, lectures, discussions, fora, etc., either as part of the Annual Scientific Meeting of the ASNR, and/or independent of that meeting but with the support of the ASNR. Section 2. Member: Members shall be radiologists who practice or have a special interest in Pediatric Neuroradiology. A. These may include neuroradiologists, pediatric radiologists, or other radiologists who have a special interest in pediatric neuroradiology, regardless of geographical site of practice or residence. 2. be judged worthy of inclusion in the ASPNR on the basis of documented interest in and/or contribution to Pediatric Neuroradiology. Section 3. Member-in-Training: Members-in-Training of the ASPNR shall hold a comparable status in the ASNR, any of the related specialty/regional societies managed at the Headquarters Office, or the SPR, or meet the criteria for member-in-training of these societies. Upon satisfactory completion of their formal fellowship training, these individuals shall automatically be transferred to Member status. The Member-in-Training status may be held for a maximum of two years, until completion of the neuroradiology fellowship. Section 4. Associate Member: Associate members of the ASPNR shall be physicians or scientists who do not meet other membership criteria, but are judged worthy of inclusion in the ASPNR on the basis of documented interest in and/or contribution to Pediatric Neuroradiology. Section 5. Honorary Members: Honorary members of the ASPNR shall be individuals who have made an extraordinary contribution to Pediatric Neuroradiology, whether or not they meet criteria for other categories of membership. Section 6. Emeritus Members: Emeritus members of the ASPNR shall be individuals who was an Active, Associate, or Honorary member for a minimum of 10 years and has reached the age of 70 years or has retired from active practice. A. Candidates for ASPNR membership in the categories of Member, Member-in-Training, and Associate Member who are members of the ASNR, any of the related societies managed at the Headquarters Office, or SPR members, or members-in-training, are required to provide a completed application. They will be accepted for membership when the Membership Coordinator has processed their application. B. Candidates for ASPNR membership in the categories of Member, Member-in-Training, and Associate Member who are not members of the ASNR, any of the related societies managed at the Headquarters Office, or SPR members or members-in-training, are required to provide one sponsor from the ASPNR, or any of the societies previously referred to. The sponsor must be a member in good standing, holding ASPNR “Member” status, or the equivalent. They may be required to provide additional documentation, as deemed necessary, and will be accepted for membership, when the Membership Committee has approved their applications. C. Nominations for Honorary membership may be submitted by any category of member of the ASPNR directly to the Executive Committee of the ASPNR. Those individuals found worthy by majority vote of the Executive Committee shall be admitted to the Society. Members, Members-in-Training, Associate members, and Honorary members in good standing shall have the right to participate in the scientific activities of the ASPNR. Members only can participate and vote at Annual Business Meetings. Only Members in good standing have the right to vote at the Annual Business Meeting and on standing committees, and to hold elective positions in the ASPNR. Because of the special nature of the ASPNR as a section of the ASNR, only those Members of ASPNR who are simultaneously Senior members of the ASNR may be appointed to the ASNR Executive Committee. Dues for Members, Members-in-Training, and Associate members shall be set by the Executive Committee of the ASPNR. These dues shall accrue to the individual account of the ASPNR to be used for purposes consonant with the constitutionally mandated goals of the ASPNR. From time to time, the Executive Committee of the ASPNR may set additional dues and assessments that pertain directly to the ASPNR. These monies shall accrue directly to the ASPNR to be used as the Executive Committee of the Society sees fit. All dues shall be due and payable on January 1 for the calendar year. The Officers of the ASPNR shall be the President, Vice-President, Secretary, and Treasurer, and will serve on the Executive Committee. Only Members of the ASPNR shall serve as Officers. There shall be three (3) Members-at-Large serving on the Executive Committee. The Members- at-Large shall hold Member status in the ASPNR. Two (2) Members-at-Large are appointed annually by the President. One (1) Member-at-Large shall be elected. The terms shall be staggered, and each shall serve a 2-year term. Section 1. Only Members of the ASPNR may be elected to office or elected as a Member-at- Large on the Executive Committee of the ASPNR. Section 2. The Officers of the ASPNR and one (1) Member-at-Large shall be elected to serve one term of office. A term of office shall be defined as the interval from the end of one Annual Business Meeting through the end of the next Annual Business Meeting. The Treasurer, Secretary, and Vice-President (President-Elect) will advance in succession to the Presidency. Section 3. The Nominating Committee of the society shall solicit from the ASPNR membership the names of candidates for nomination for the office of Treasurer, and for one (1) Member-at-Large of the Executive Committee. The Nominating Committee will then recommend to the Executive Committee for review one or more candidates for each position. After such review, the candidates shall be placed before the voting membership of the ASPNR present at the succeeding Annual Business Meeting for election. Nominations for these positions shall also be accepted from the floor, provided the individuals named meet the criteria for the position in question. Successful election for these positions shall be by majority vote of those Members present and voting. In the case of a plurality, but not a majority, the two candidates for the position having received the highest numbers of votes shall be represented for election to the membership at the same Annual Business Meeting. A majority vote shall be sufficient to elect a candidate to the position in question. Section 1. President: The President shall be the presiding officer of the Society, and shall perform all duties which by custom and parliamentary practice are commonly associated with the office of the President. The President shall chair the Executive Committee, and be an ex-officio member of all other committees. The President or other Member of the Executive Committee (who is also a Senior member of the ASNR), as designated by the President, shall chair the Program Committee of the ASPNR, both as part of the ASNR Program Committee (or for such independent meeting as may occur from time to time), and represent the ASPNR on the ASNR Executive Committee, and serve as the ASNR Representative on the ASPNR Executive Committee. Upon completion of the term as President, the 1st Past-President may have additional responsibilities with the SPR, as per the ASPNR/SPR Agreement, which may be in force at that time. Section 2. Vice-President: The Vice-President shall be the President-Elect and Vice-Chair of the Program/Education Committee, the Chair of the Nominating Committee, and shall ascend to the Presidency after one term. Section 3. Secretary: The Secretary shall be responsible for the minutes and records of the Society, and shall ascend to the Vice-Presidency after one term. Section 4. Treasurer: The Treasurer shall be responsible for overseeing and reporting upon the financial condition of the society, and shall ascend to the office of Secretary after one term. Section 5. Members-at-Large: The Members-at-Large will be responsible for the duties assigned to them by the President. One shall be appointed by the President to be a member of the Nominating Committee, and the second and third to be members of the Program/Education Committee. Section 2. Executive Committee: The Executive Committee is comprised of the following voting members: the President as Chair, Vice-President, Secretary, Treasurer, and three (3) Members-at-Large. Members of the Board of Directors* shall serve as non-voting members. The Executive Committee is the governing and policy-making body of the Society, and reports its actions directly to the membership. The Executive Committee is responsible for overseeing and supervising the business and all other activities of the society. Members of the Executive Committee may also be asked to sponsor new members, and to determine an applicant’s eligibility. Section 3. Program/Education Committee: The Program/Education Committee shall have ten (10) members including the President as Chair, Vice-President, Secretary, Treasurer, three (3) Members-at-Large, and five (5) ASPNR members of the Executive Committee chosen by the President,(with staggered 2-year terms). The ASNR and SPR representatives are ex-officio members. The Committee is primarily responsible for the planning and coordinating of the pediatric neuroradiology portion of the ASNR Annual Meeting. The Committee shall also plan and propose project to further the educational mission of the Society, be responsible for promoting the education of its members and others who participate in the educational activities of the society, and will establish academic contacts with other scientific societies involved in pediatric neuroimaging to foster learning and improve patient care. This Committee will supervise the awards and prizes bestowed by the Society, including the Derek Harwood-Nash Award for the best Pediatric Neuroradiology scientific poster or paper presented at the ASNR Annual Meeting. Section 4. Nominating Committee: The Nominating Committee shall have three (3) voting Members, and shall consist of the Vice-President as Chair, one (1) Member-at-Large of the Executive Committee appointed by the President, and one (1) Member in good standing nominated from the floor and elected by the membership at the Annual Business Meeting for a 2- year term. The President shall be a non-voting, ex-officio member of the committee. The Nominating Committee solicits from the membership the names of candidates for nomination for the office of Treasurer, one (1) Member-at-Large of the Executive Committee, and one (1) Member in good standing to serve on the Nominating Committee. Then the committee recommends one or more candidates for each position to the Executive Committee for review. Section 5. Research Committee: The Executive Committee shall determine the composition of this committee. The Research Committee shall propose projects, and seek funding for them. It shall be responsible for overseeing the ASPNR Annual Award in Pediatric Neuroradiology Research, and the selection of the recipient. Section 6. Gold Medal Award Committee: The Gold Medal Award Committee shall consist of four (4) members. The 1st Past-President as Chair and three ASPNR members to be chosen by the President. The term for Committee members shall begin at the close of the Annual Meeting, at which they were all appointed, and shall continue until the close of the next Business Meeting. The Committee shall solicit names for the ASPNR Gold Medal Award recipient from the Executive Committee and add additional names for consideration, including candidates considered for the Award during the preceding five years. The Committee shall review the qualifications of the proposed candidates and submit them for approval by the Executive Committee, at least 60 days prior to the start of the ASNR Annual Meeting. In the event that the Executive Committee approves none of the proposed nominees, the Gold Medal Award Committee shall propose a new recipient for approval by the Executive Committee. Section 6. Ad Hoc Committees: Ad Hoc Committees may be established by the President in consultation with the Executive Committee. Committee members may be appointed to ad hoc committees by the President. Section 7. ASNR Committees: The Executive Committee of the ASPNR must strive for suitable representation by its members on all appropriate standing committees and ad hoc committees of the ASNR. Section 8. Length of Term: Appointment to a standing committee shall be for a term as determined for each committee according to the Constitution, defined as the interval from the end of one Annual Business Meeting through the end of the next Annual Business Meeting. Section 9. Committee Reports: The Chair of each committee shall report to the Executive Committee yearly, and in advance of and in preparation for the Annual Business Meeting, all actions taken by that committee. Section 1. Annual Scientific and Business Meetings: The Annual Scientific Meeting of the ASPNR shall be held either in conjunction with the Annual Scientific Meeting of the ASNR, or at some other time agreed upon by the Executive Committee. If not held in conjunction with the ASNR, the time and place of the meeting will be announced more than 9 months in advance of the meeting. The Annual Business Meeting shall take place during the Annual Scientific Meeting of the ASPNR. Section 2. Other Meetings: Additional scientific meeting(s) of the ASPNR may be held when necessary at a time to be decided upon by the Executive Committee. From time-to-time, as it may see fit, the ASPNR may decide to participate in the scientific meetings of other kindred societies. Section 3. The Executive Committee Meeting: The Executive Committee shall meet at least once yearly in conjunction with the Annual Scientific and Business Meetings of the ASNR. Additional meetings may be convened from time-to-time. Section 4. The Quorum and the Vote: A quorum for the Annual Business Meeting shall be 25% of the voting membership. Only individuals holding Member status shall be allowed to vote. Unless specified otherwise in the Constitution, a majority vote of those present and voting shall be necessary to carry a motion. Section 5. Notification: The time and the format of the Annual Meetings, publication of the agenda, and nominations for officers, other positions, and committees, deadlines for submission and acceptance of papers, etc. shall be similar to that of the ASNR. The ASPNR President, or other member of the Executive Committee as designated by the President, will serve as the ASPNR Representative on the ASNR Executive Committee, provided that this individual is also a Senior member of the ASNR. Mechanism for Amendments to the Constitution: Amendments to the Constitution must be approved by a majority of the Executive Committee. They will be submitted to the membership of the ASPNR at least thirty (30) days prior to the next Annual Business Meeting. These proposed amendments will be presented for a vote at the Annual Business Meeting. Ratification will require approval of a majority of Members present. Alternatively, the proposed amendments and voting may be transmitted via mail or electronically, requiring approval by at least 10% of the voting members. In all cases, the voting members must be allowed 30 days from the date the notification of the amendments is sent to the time of the vote. Amendments may be proposed and voted upon throughout the year. The Executive Committee of the ASPNR shall be empowered to obtain additional funds as needed from either its own membership, or from outside agencies acceptable in principle to the ASPNR to fulfill its aims and objectives. The Executive Committee of the ASPNR shall be responsible for all monies received. The Board of Directors of the ASPNR shall consist of four (4) members, including the three (3) most recent Past-Presidents, and the SPR Neuroradiology Committee Chair who shall also serve as the SPR Representative to the ASPNR. The term for the SPR Representative is designated by the SPR.